BETHPAGE, N.Y., April 27, 2010 -- Northrop Grumman Corporation (NYSE:NOC) delivered, ahead of schedule, all Low-Rate Initial Production (LRIP) lot 2 Airborne Laser Mine Detection System (ALMDS) pods to the U.S. Navy. The last of the three ALMDS LRIP lot 2 pods was accepted by the Navy on March 11. The company delivered the pods approximately three weeks ahead of schedule, on average. The company and the Navy are in the final stages of submitting the LRIP lot 3 production contract. 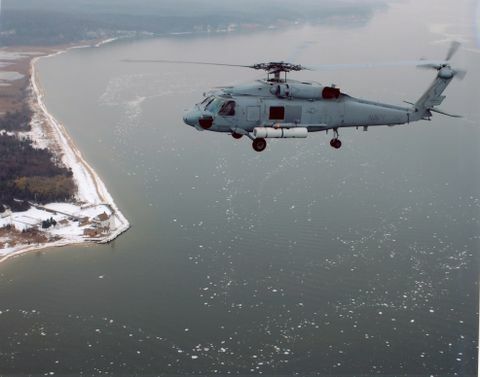 "The Northrop Grumman contractor team and our Navy partners are working hard to get these systems into the fleet as quickly as possible," said Dan Chang, vice president of Northrop Grumman Maritime and Tactical Systems. "ALMDS and the Rapid Airborne Mine Clearance System (RAMICS) are critical tools with demonstrated technologies for getting our warfighters out of minefields. These two programs are key to the fielding of the entire mine detection and destruction capability to our warfighters." Mounted on the left side of an MH-60 helicopter, ALMDS rapidly detects and locates floating and submerged mines so they can be neutralized before they can damage U.S. and allied military and commercial ships. The system uses pulsed laser light and streak tube receivers housed in an external equipment pod to image the entire near-surface volume area of the sea in 3-D. The ALMDS is capable of day or night operations. Eventually, ALMDS will be coupled with Northrop Grumman's RAMICS, which is now in development. 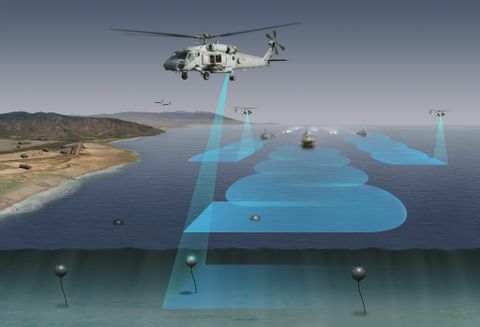 RAMICS, also operating from an MH-60S helicopter, will take the mine location information from ALMDS, relocate the mine and then neutralize the mine with its 30 mm gun. Both of these systems are an integral part of the Mine Counter Measures (MCM) Mission Package, which will be deployed on the Littoral Combat Ships. Northrop Grumman is also the LCS Mission Package Integrator for the Navy. 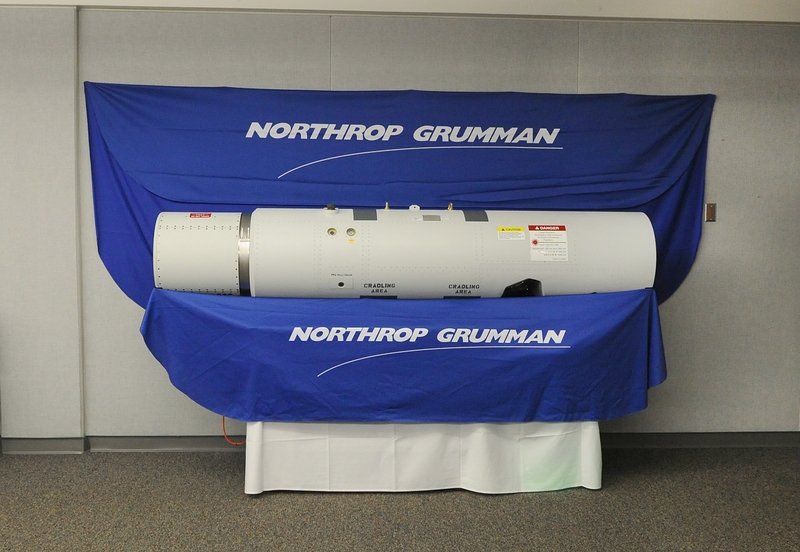 Northrop Grumman, which developed and produces the ALMDS at its Melbourne, Fla., facility, was able to make the early deliveries through the teamwork of its customer teammates and supplier base: Naval Sea Systems Command PMS 495; the Naval Surface Warfare Center, Panama City Division, Panama City, Fla.; and, the Defense Contracts Management Agency; Areté Associates, Tucson, Ariz., which manufactures the Receiver Sensor Assembly; Cutting Edge Optronics, a Northrop Grumman subsidiary in St. Charles, Mo., which manufactures the high-powered laser transmitter; CPI Aero, Edgewood, N.Y., manufacturer of the pod housing; Curtiss Wright/DY4, San Diego, manufacturer of the central electronics chassis; and Meggitt Defense Systems, Irvine, Calif., which produces the environmental control system. Northrop Grumman's Melbourne facility is the company's Center of Excellence for Airborne Mine Countermeasures and is currently under contract for the development or manufacture of the U.S. Department of Defense's four Airborne Mine Countermeasures sensor programs.